Growing houseplants in a sunny window, you can often observe an interesting phenomenon. Over time, the plants begin to look a little lopsided, growing toward the window and pressing themselves against the glass. Even in gardens with partial sun, plants lean in the direction of the sun. This process, called phototropism, is an important survival mechanism for plants. The tendency of a plant to grow in the direction of a stimulus is called a tropism. Many of the characteristics of plants that we take for granted--how seeds sprout with the roots growing downward and the leaves upward, for example--are caused by tropisms. Phototropism refers to the tendency of plants to grow toward the light which they need to produce food for themselves. In the early 20th century, Dutch botanist Frits W. Went discovered the plant hormone auxin that is responsible for phototropism. The new growth at the tips of plants produces auxin and distributes it throughout the plant. However, plants send more auxin to areas that receive less light. This stimulates those areas, causing them to grow faster and bending the plant in the direction of the light. Swiss botanist Augustin Pyrame de Candolle first observed phototropism in 1809 and hypothesized that unequal growth of the plant was the cause. Later, when Charles Darwin began growing canary grass, he made similar observations, and he and his son Francis Darwin further determined that the fresh growth at the tips of plants responds to light while more mature tissue does not. The exact biochemical cause of phototropism wouldn't be understood for another 40 years, when Fritz W. Went discovered auxin. Botanists at the University of Hamburg note that the strength of a phototropic reaction depends, in part, on the intensity of the light. Plants tend to have stronger reactions to more intense or longer durations of light. For example, a plant in a window that receives an hour of direct sunlight per day may show a phototropic reaction, as may a plant in a north-facing window that receives several hours worth of indirect, less intense light. However, they also point out that light that is too intense may provoke no reaction at all. Although early theorists believed that plants only grew toward sunlight, more recent research has shown that plants will grow toward certain wavelengths of artificial light as well. Darwin and his son first discovered that the new tissue at the tips of plants was responsible for phototropism. When they covered the new growth, the plants did not exhibit phototropism. When they covered the more mature tissue at the middle of the plant and left the tips uncovered, the plant grew toward the light. New plant tissue is more flexible and adapts better to changing conditions than mature tissue, which becomes inflexible and resistant to change as it ages. All organisms require energy in order to survive. Most organisms acquire energy by consuming other organisms. Plants are distinct because they produce their energy from sunlight using a process called photosynthesis. Photosynthesis converts energy from the sun--unavailable to organisms incapable of photosynthesis--into chemical energy that can be used by other organisms higher on the food chain. For this reason, plants are said to occupy the bottommost link of the food chain and are also responsible for providing energy for all other life on earth. Through phototropism, plants maximize their exposure to the sun and, therefore, the amount of energy that they can produce. 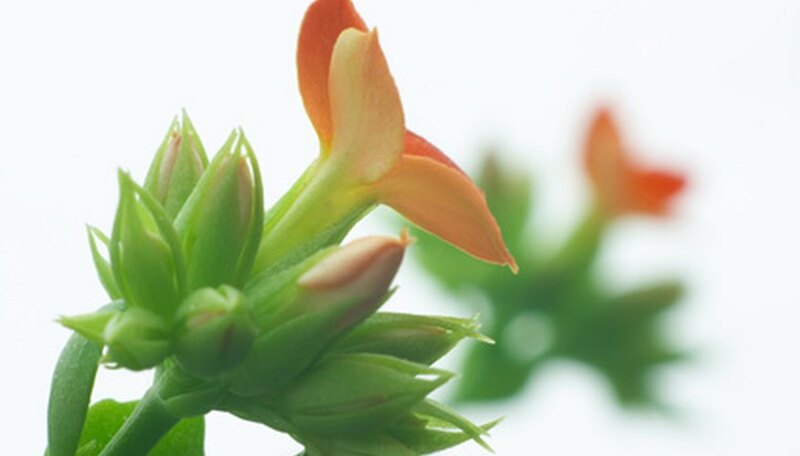 For the plant, this means that it is able to grow more, producing more seeds, fruits and flowers that allow its genes to propagate. In the bigger picture, increased growth means more biomass available to herbivores feeding higher on the food chain, thus sustaining more life on Earth. How Do Plant Cells Elongate? Do Plants Grow Slower at Night? Why Do Plants Grow Upward? Does Talking to Plants Affect Their Growth?